AAEA Blog: Member Blog: Happy Holidays … Waste Not, Want Not! Member Blog: Happy Holidays … Waste Not, Want Not! AAEA Member Sonny Ramaswamy, Director, National Institute of Food Agriculture, posted a blog on USDA's site about an easy New Years Resolution that you can actually keep. "When you prepare to welcome family and friends this holiday season, good planning can help avoid wasting food and save you money. November and December are traditionally times of celebration of various holidays in America, religious and secular. This is a time for enjoyment and fellowship in the company of family, friends, and neighbors. The celebrations almost always include gathering at dinner tables over feasts of the bounty our farmers provide. Unfortunately, this is also a time when, afte..."
November and December are traditionally times of celebration of various holidays in America, religious and secular. This is a time for enjoyment and fellowship in the company of family, friends, and neighbors. The celebrations almost always include gathering at dinner tables over feasts of the bounty our farmers provide. Unfortunately, this is also a time when, after the celebration and feasting are done, a significant proportion of the leftover edible food is tossed in the trashcan or put down the disposal. Much of this food ultimately ends up in landfills. 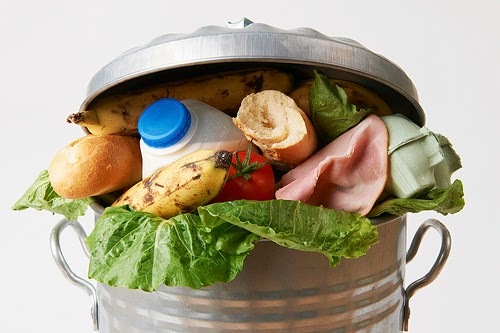 The Economic Research Service estimates that over 130 billion pounds of edible food goes uneaten per year at the retail and consumer levels in the United States, equating to over 1,200 calories per day per man, woman, and child. On average, this suggests that as a nation almost one-third of the edible food that could meet our caloric needs goes uneaten. Globally, in developed countries such as the United States, Canada, and Australia, almost 40 percent of the food is wasted after the dinner table. In contrast, in developing countries in Asia, Africa, and South America, almost 40 percent of the food is lost before the dinner table, owing to pests and supply chain issues, including inadequate storage, transportation, and marketing challenges. The food waste in landfills decomposes, emitting carbon dioxide, methane, other gases, water vapor, and leachates, thus exacerbating our ecological footprint. Additionally, consider the land, water, fertilizer, labor, energy, and other inputs that went into producing that food, which is now wasted. Indeed, globally food waste/food loss is contributing to the estimated loss of one quadrillion liters of water per year—enough to fill Lake Erie approximately eight times over! Several studies point to the need to double food production to feed the nine plus billion people predicted to populate planet Earth by 2050. Imagine the possibility: By eliminating or significantly reducing food waste and food loss, humanity could be closer to achieving food and nutrition security without having to bring in significantly more arable land, energy, water, labor, and other inputs needed to double food production. Mitigating food waste and food loss globally is the “low hanging” fruit in our toolkit to ensure the food and nutritional security of humanity, while husbanding our natural resources such as water and land, and minimizing our ecological footprint. Incidentally, imagine the savings accruing to our individual and collective pocketbooks! So, as you prepare to welcome family and friends this holiday season, and as you wish them Happy Holidays, Merry Christmas, Happy Chanukah, Happy Kwanzaa, or even Happy Festivus, remember to pick the low hanging fruit: Purchase and cook only as much food as you need to feed everyone, or plan for leftovers, so you can either completely eliminate or significantly reduce food waste. Leftovers can kept in the refrigerator for three to four days or safely frozen for up to a year. On New Year’s Day, many Americans will come up with various resolutions. Some keep their resolutions, while others are broken almost immediately. How about resolving for 2015 that you will reduce your food waste by at least 50 percent? This is probably one resolution that’s easily kept. For more information on eliminating food waste, visit the U.S. Food Waste Challenge website for advice on reducing food waste. When you prepare to welcome family and friends this holiday season, good planning can help avoid wasting food and save you money.